The 5th Extensive Reading conference is taking place this weekend in Nagoya, but what exactly is ‘Extensive Reading’, and how can it be utilized by teachers and learners of English? I interviewed Marcos Benevides, an Extensive Reading advocate, and a presenter at this year’s conference, to find out. What exactly is “Extensive Reading” and how does it differ from other kinds of reading? I like to think of Extensive Reading as the reading branch of Communicative Language Teaching. If you believe that authentic, meaningful, and plentiful opportunities for language use should be a key component of language learning; that learners should have a degree of autonomy in selecting topics to engage with; that an explicit focus on linguistic forms and features is only part of the picture; and that teachers have a role to play as facilitators as well as experts in the classroom—then ER provides solutions for reading that perhaps you have already been employing on the speaking, listening, and writing side of things. As with CLT more broadly, the primary aim of ER is to develop fluency rather than accuracy. 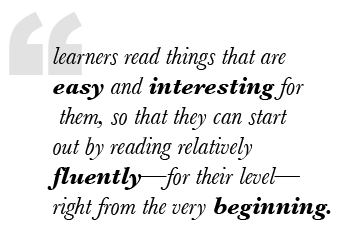 Fluency in reading means the ability to read something at a good pace, without (often) needing to stop to check a dictionary, or (often) going back to re-read for missed information. Once someone can read fluently, they can truly enjoy reading—which causes them to read more, and thus to continue improving. So ER aims to kick-start that virtuous cycle in language learners. However, just as the only way to develop fluency in speaking is to speak a lot, the only way to really become a fluent reader is to read a lot. It’s a bit of a catch-22. When you can’t read fluently, reading becomes a chore; this means you don’t do it as much as you should, which then means it’s tough to ever become fluent. ER solves this conundrum by having learners read things that are easy and interesting for them, so that they can start out by reading relatively fluently—for their level—right from the very beginning. The readings can be anything at a language level that each individual feels comfortable with. Second language learners often start out by reading children’s books, for example, because they are both easy and plentiful. And that’s great. 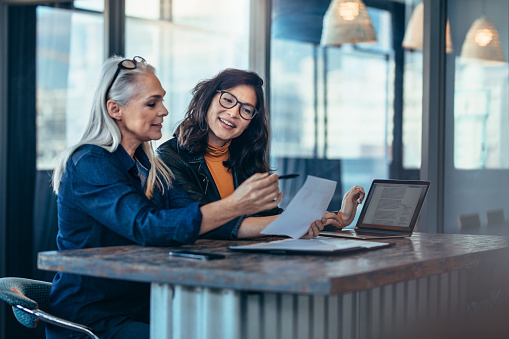 However, most adult learners are not particularly interested in children’s stories, so they don’t always fulfill that very important interesting requirement. For this reason, most ER programs use “graded readers,” which are books adapted to various reading levels, from beginner to advanced. That is, graded readers use restricted vocabulary and forms, but not simplified content. Although some series are targeted at younger learners, most are written to be enjoyed by adolescent and older learners. There are all sorts of graded reader collections out there, including Oxford Bookworms, Macmillan Readers, Cengage Footprints—literally too many to list here. Some focus on adaptations of classics, such as Great Expectations or The Great Gatsby. Others offer movie adaptations, such as Spider-Man or Titanic. Most also include some excellent original stories written specifically for language learners. And the genres are as varied as in any library—romance, detective, horror, science fiction, biography, history, even travel. 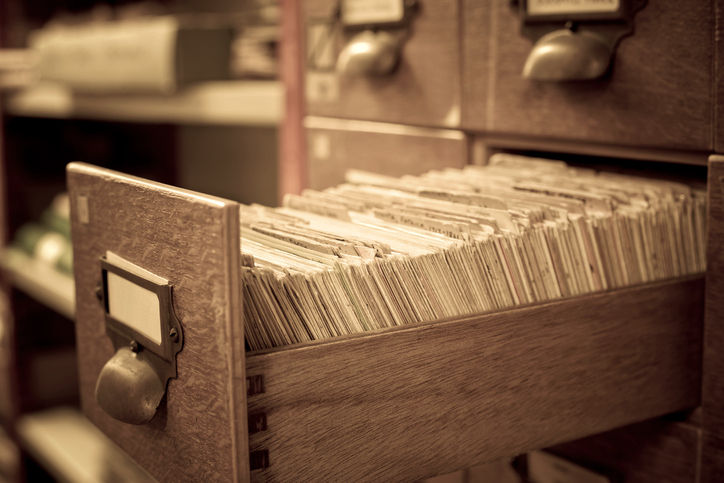 How can language teachers utilize Extensive Reading in the classroom? The most common way ER is implemented is as out of class readings. A typical example would have students selecting a graded reader from a library, reading it outside of class, then either filling out a simple book report or taking some kind of comprehension quiz. Assessment should interfere as little as possible with the enjoyment of the reading itself; if you have learners reading a book just to pass a test, it undermines the idea of reading for pleasure. Having said that, there is a wide range of ways teachers implement ER. At my university, for example, we encourage teachers to give 15 minutes at the start of each weekly lesson for silent reading in the classroom. 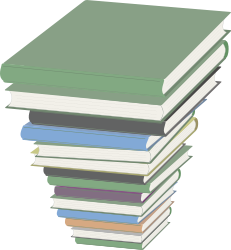 This has several incidental benefits; for instance, it gets students to settle down and start thinking in English; it encourages them to carry their graded reader around with them, which increases the chance they may pull it out and continue reading on the train before and after school; and it also allows teachers to keep tabs on student progress by asking them how they’re enjoying the books, which genres they prefer, etc. We still expect that students will read mainly outside of class, but some in-class reading helps to keep everyone on track. Some programs set up reading circles where three or four students read the same book and then have discussions about it. Others include a listening component, since most graded readers come with a CD or downloadable MP3s. 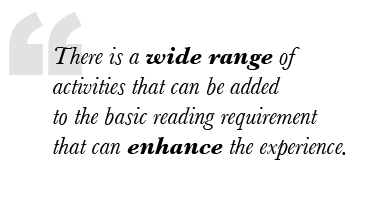 There is a wide range of activities that can be added to the basic reading requirement that can enhance the experience. As long as the students are reading at a comfortable level for them, reading a lot, and reading books that they select themselves, then it’s ER. Without losing sight of these goals, teachers can of course tweak things to suit their own situations. Is it possible for teachers to measure or assess Extensive Reading? It’s possible to measure overall language gains from ER over time, but not from lesson to lesson. That’s another way in which ER is similar to a communicative approach. But yes, there is a solid body of research that supports the effectiveness of ER. Good comprehension questions might include, “Where do Romeo and Juliet meet?” (at a party); or, “What happens at the end of the story?” (they both die). Likewise, a good book report lets teachers know that the book has been read; if that can be done in two or three short sentences, so much the better. Marcos Benevides is a Japan-based teacher and ELT materials writer. He co-wrote the reading coursebook Fiction in Action: Whodunit (Abax, 2010), which won both the Duke of Edinburgh and the British Council ELTon Awards. He also co-wrote Widgets: A task-based course in practical English (Pearson, 2008), and is currently the series editor for the newly launched Choose Your Own Adventure graded reader series from McGraw-Hill Education. He teaches at J. F. Oberlin University in Tokyo. For more information about Extensive Reading, plus details of an innovative graded reader version of the Choose Your Own Adventure series, check out Part 2 of this interview!